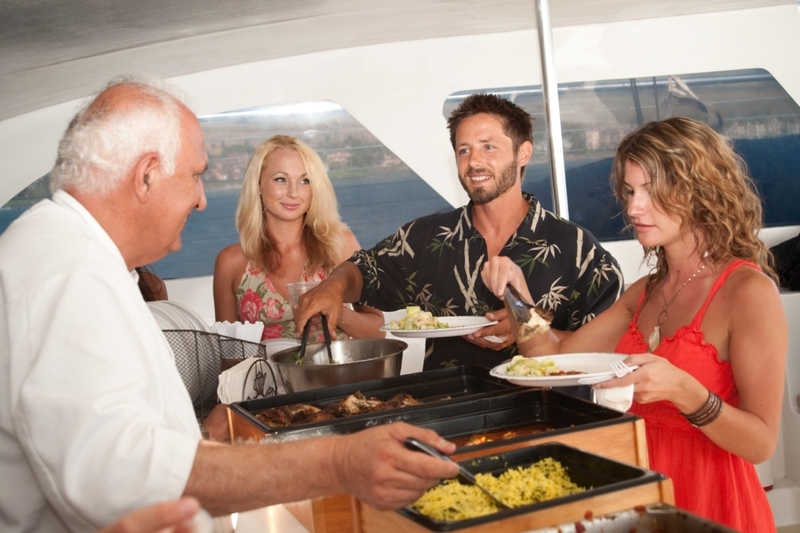 With tours leaving from Ka’anapali Beach daily, the Teralani fleet provides snorkel/snuba trips and sunset cocktail and dinner sails on state-of-the-art catamarans. These custom-built catamarans are US Coast Guard-approved for up to 120 passengers. But the Teralani crew keeps the guest list to just 49 people to maintain a more intimate excursion. An indoor salon provides comfortable tables and benches, while the upper deck has plenty of room to roam and take in the majestic views of the Pacific Ocean and West Maui coastline. Private charters are also available—a memorable way to have a wedding. birthday party, or family reunion. 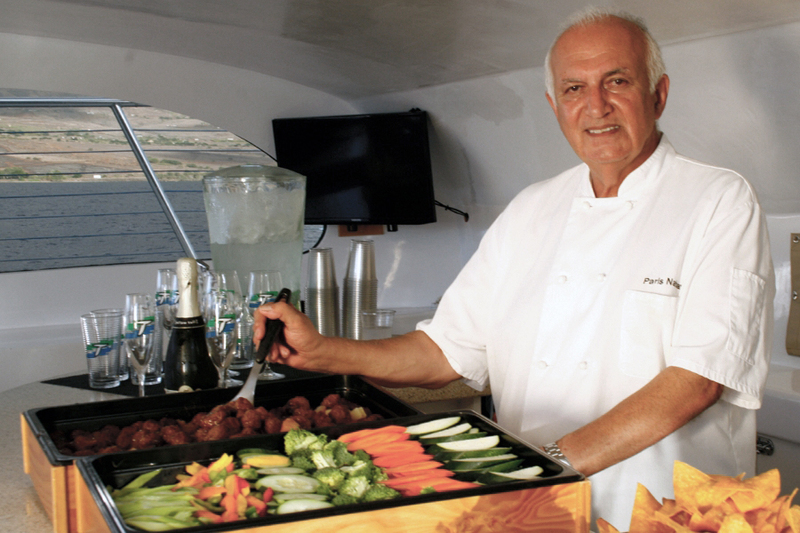 For the past several years, chef Paris Nabavi has had a great partnership with the Teralani team, providing custom menus for guests of each tour. If you're looking to add a sail activity to your Maui vacation, we highly recommend you give the folks at Teralani at call. All photos courtesy of Teralani Sailing Adventures.